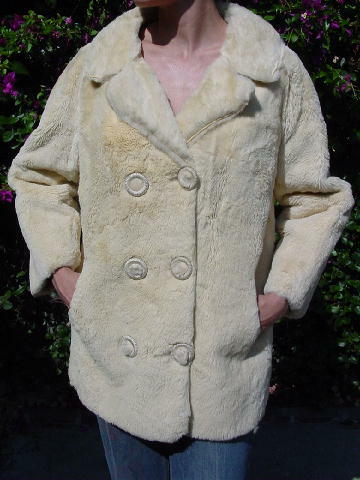 This vintage sheepskin jacket was styled by Graham Edelstein and was manufactured in Sydney, Australia. 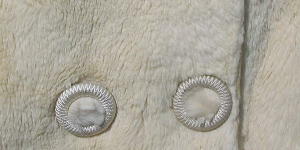 It's double breasted with six large circular buttons that are bordered by a champagne color cord and have sheepskin in the centers. 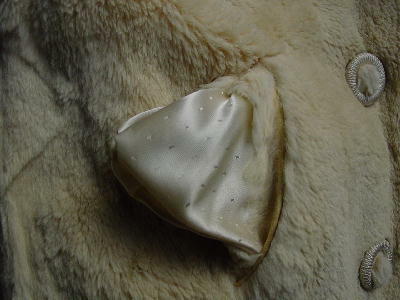 All the edging and the buttons' holes are a pale yellow-bone leather. 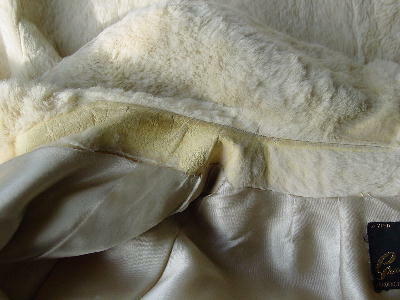 It has a thick pearlized cream lining. 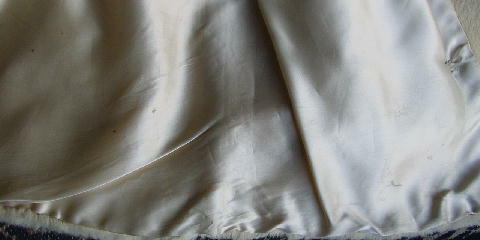 The lining has 6 small spots and some black line marks. There are no tears, rips, or snags in the lining. The front has two angled slash pockets. 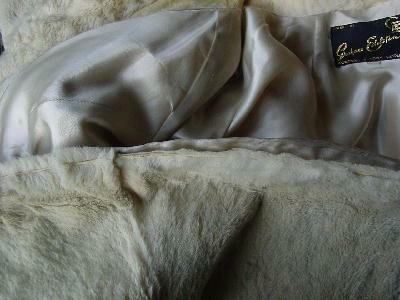 The right sleeve has some sheepskin missing on the area coming from the bottom of the armpit (4 1/2" from the armhole opening). You can't see it from the back or front. Some of the leather back bottom edging shows scuffing. 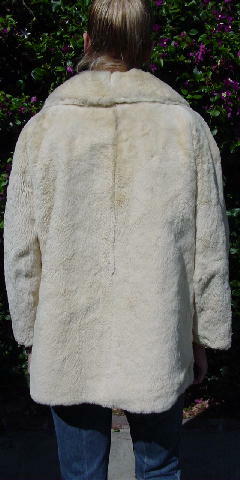 There is also some sheepskin missing below the back collar (above the fabric lining) in the interior. The tag says SW (for Small woman), but it fits a little larger than that. 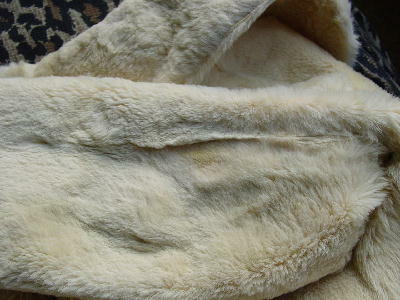 It's very soft and a great looking jacket. It's from an Australian model. neckline to end of sleeve 25 1/2"